Aww…Fall. That time of year when folks of all walks of life can come together and pretend to care about football. Who’s got the old pigskin now? Is it moving down the field, up the field, or beyond the field, into the atmosphere, buoyed by the swirling shouts and white hot fury of those monstrous crowds? Who cares? I’m only here for Sixpoint Sundays!! Now until the end of the football season, all drafts will be only $5 at Pine Box Rock Shop during the game. And during Seahawks games, they’re dropping two-for-ones on ya! It's not time for long johns just yet, but you'll still need something to put a little fire in your bones on chilly evenings. 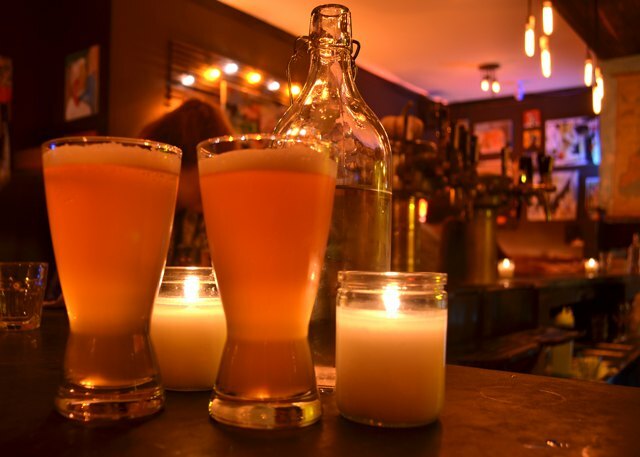 Thankfully, our resident Brewista, Erin Wicks of Bushwick Brews, is here to let you in on the Bushwick Beer secrets that will make this autumn your most hop-filled autumn yet. MONDAY NIGHT FOOTBALL! And our beloved Seahawks are playing which means 2 for 1 pints of Sixpoint during the game! Arrogant Swine just opened for business a couple weeks back, but they are already racking up the press, and for good reason. This brand-spanking-new barbecue joint doesn’t just boast some of THE finest homemade sausage around, they’ve also got a buncha beers on tap. Be prepared to drop a little cash for the draft beers, ‘cause the prices aren’t dirt cheap, but it’ll be worth it to get your throat as lubricated with craft beer in preparation for a carnivorous feast. Currently, taps include the Broken Bow Irish Red, the Evil Twin Molotov Cocktail Imperial, and much, much more. Photo by Matt Chapman for Bushwick Daily. The Halloween spirit is alive and well at Bodega, which has already been decked out with creepy, crawly plastic spiders and cobwebs galore. Finally, it’s properly cold outside, and in case you are not thoroughly in touch with your inner child, Halloween is only 9 days away!!! Get your costume ready and your carving knife procured asap, because Bodega is hosting a costume contest AND a pumpkin carving contest. 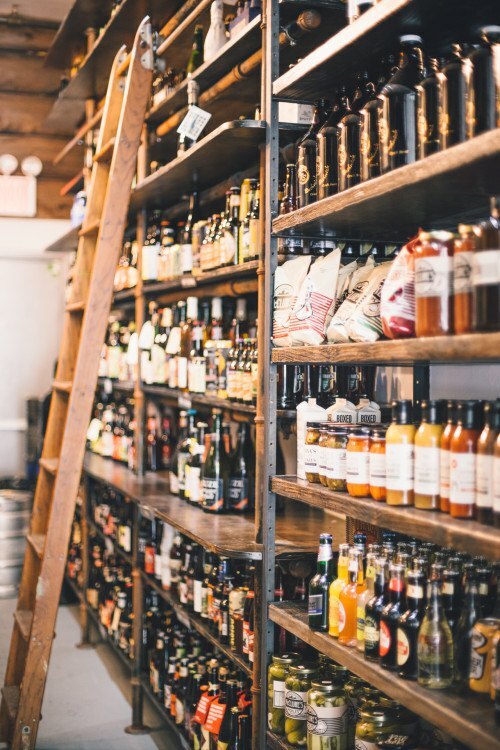 The winner will be awarded "a bar tab and fleeting notoriety," which, honestly, is all a person really needs for true happiness, because the Bodega has one of the dopest selection of drafts and bottled beers in the neighborhood. 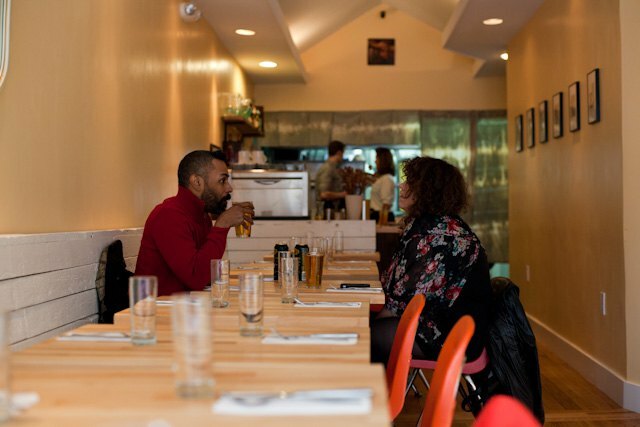 Photo by Bart Koscinski for Bushwick Daily. This just in from our good friends at The Sampler: 10/24-26: THE PUMPKINS TAKE OVER OUR TAPS! HELP US! SO MUCH PUMPKIN BEER, OMG!!! Time for all you pumpko-philes to get altruistic and help Rafael and Casey with their massive pumpkin overload on their 18 taps. Indulge while you can, November is fast approaching and with that the return of real beer. And, yes, I know them's fightin' words. We have long coveted glimpses of Bushwick's mythological brew creature: the Braven, and we're told there's a sure sighting (and tasting) in the works at the Sampler. 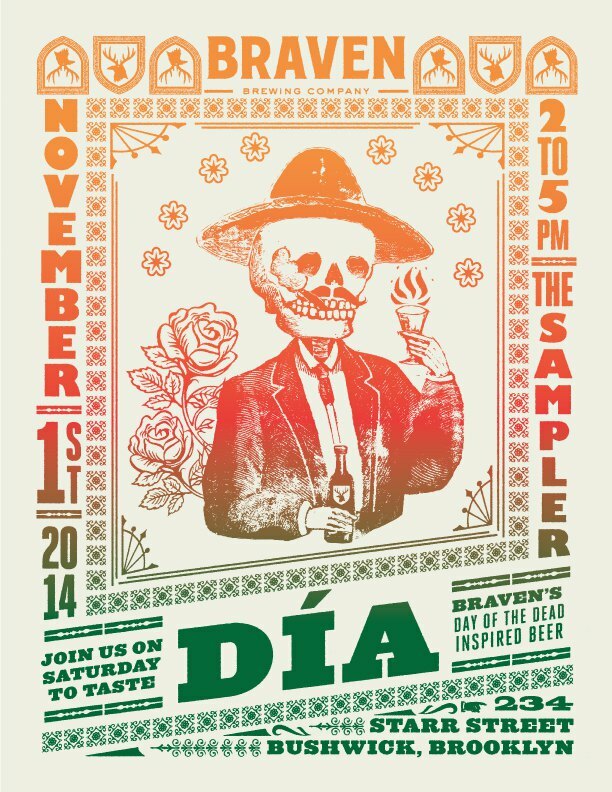 Just in time for el Dia de los Muertos the Braven boys will hold their 2nd (dare we say annual--wink, wink) Dia tasting. 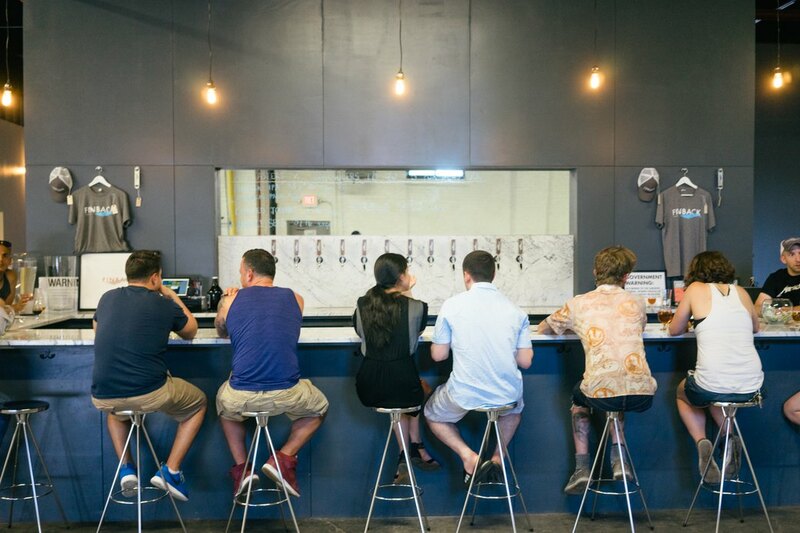 The tasting will feature free samples of an orange/serrano pepper/chocolate stout, and perhaps some other surprises (last year's tasting at Passenger Bar included live face painting and Burlesque performers). Even if you miss Halloween Night at the Bodega, you can still enjoy their festive spirit during this celebration of Yacht Rock. Not only will they be spinning the Yacht classics (Bee Gees, Michael McDonald, Doobie Brothers) all night long, but they’ll also be running a $6 White Wine Spritzer special, which includes a DIY Spritzer Garnish Bar. Granted, the luxury of this spritzer deal might inhibit you from getting intimate with their amazing beer selection, but if you’re all hopped out after working your way through this beer guide, maybe a white wine spritzer will be exactly what you need. Inside Finback Brewery Photo by Bart Koscinski for Bushwick Daily. Okay, okay, Finback Brewery is in Ridgewood. And Alice's Arbor is in Bed-Stuy. But sometimes you gotta bite the bullet, spend a metro swipe and get out into this big bad city to really get your autumn beer game on. Alice's Arbor is a cute little farm-to-table joint on Classon Ave, with a menu that hits all the classics and still manages to feel fresh. They've teamed up with Finback, one of your favorite Queens breweries, to host a Supper Club next Wednesday. For $48 a person, you'll be treated to four courses, five beer tastings, a fabulous evening, and ten extra beer-nerd points. Tickets here! Speaking of beer nerds, Fritzl's Lunch Box has always had a stellar beer selection, despite being limited to cans and bottles. But lately, they've seriously stepped it up. 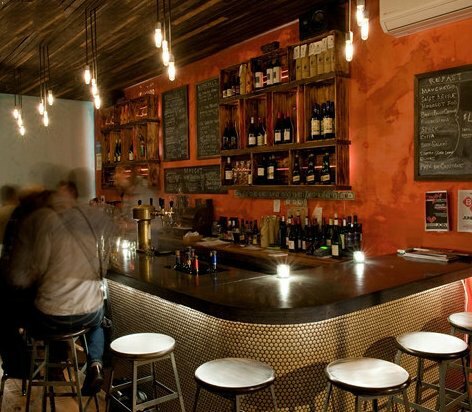 Flip over their food menu and find literally dozens of unique, hard-to-find beers, ranging from the Grimm Action/Adventure Lichtenhainer, a near-extinct German style of smoked sour beer, to the $19 bottle of Tilquin Gueuze. But this is October, and you're here for the fall-est beers of all the fall beers. Enter: the Westbrook Marzenbier, an Oktoberfest-style amber lager that comes in a 22-oz bottle for $19. And if you're feeling a bit pumpkin-y, try the Almanac Heirloom Pumpkin Barleywine for $18, which has garnered a staggering 94 on Beer Advocate. All this talk of fancy pants beer got you craving a something a little more down-home? Sometimes it's good just to get back to your roots. Fortunately, Montana's Trailhouse has a divine selection of Budweisers that will allow you to really appreciate the subtle nuances that differentiate a can of Budweiser from a bottle of Budweiser, and both from a pint of Budweiser. Hitch on down to the Trailhouse and enjoy the luxury of not having to make any decisions about what to drink. Do you like Bushwick Daily? Do you like craft beer? The Sampler? Bushwick Brews? Supporting your local community? Getting buzzed with friends? 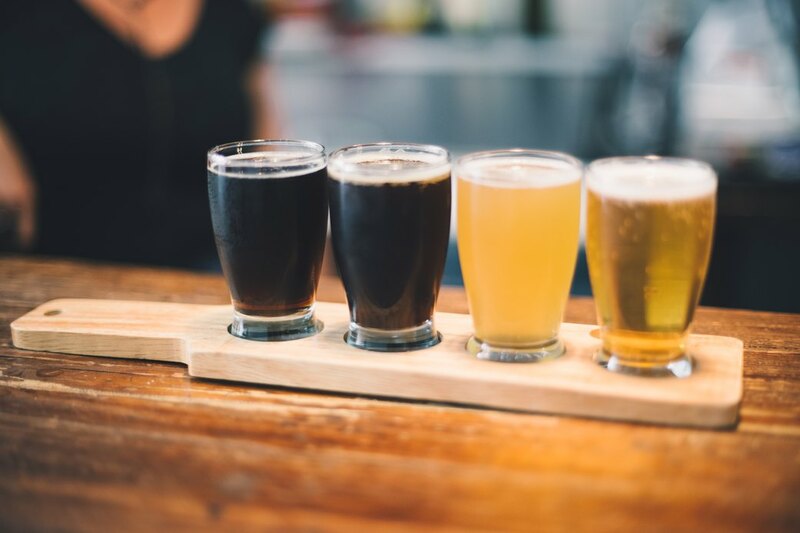 If you answered yes to any of the above this save-the-date is for you: Join your friends from Bushwick Daily on Thursday, November 13th at The Sampler to mingle with some of New York's finest local brewers and sample their beers. Expect flight specials, a brewer scavenger hunt, and more!